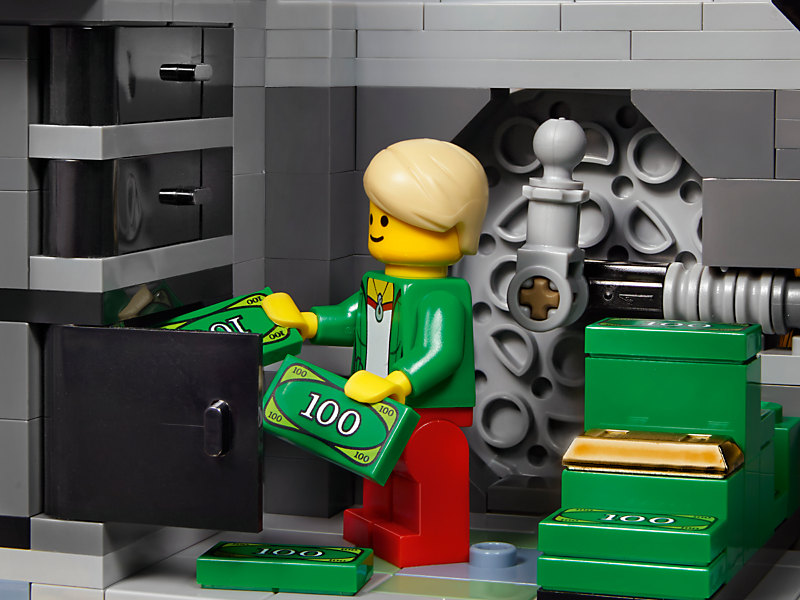 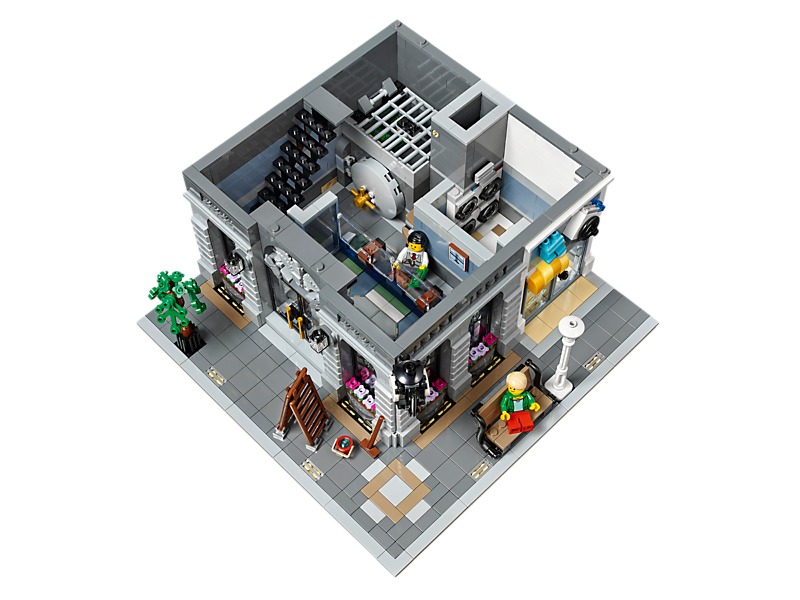 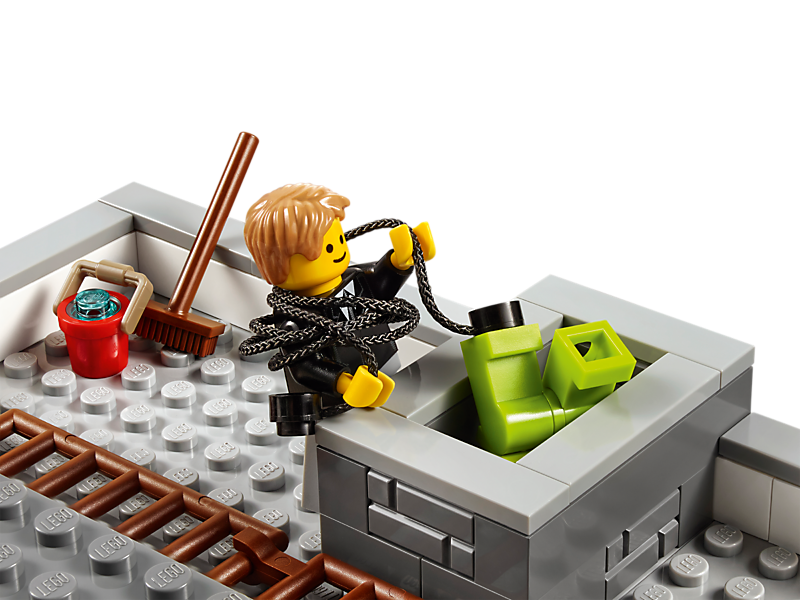 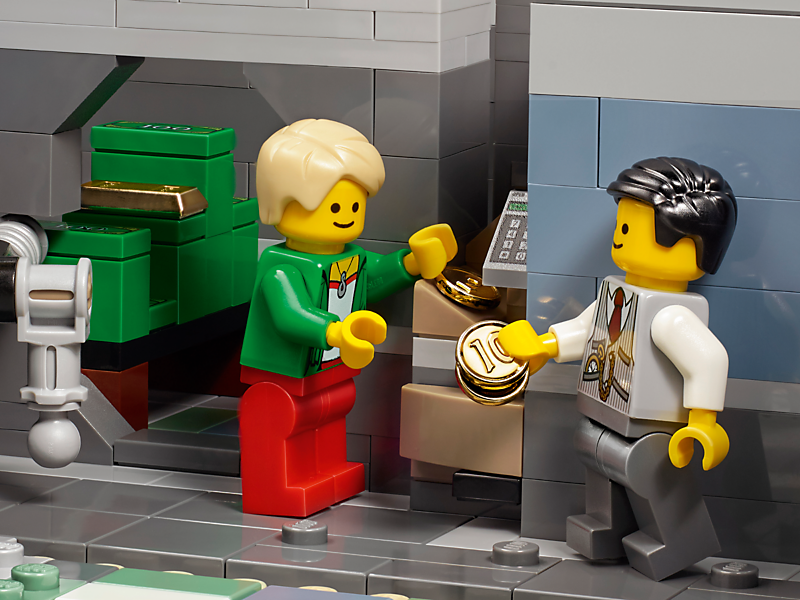 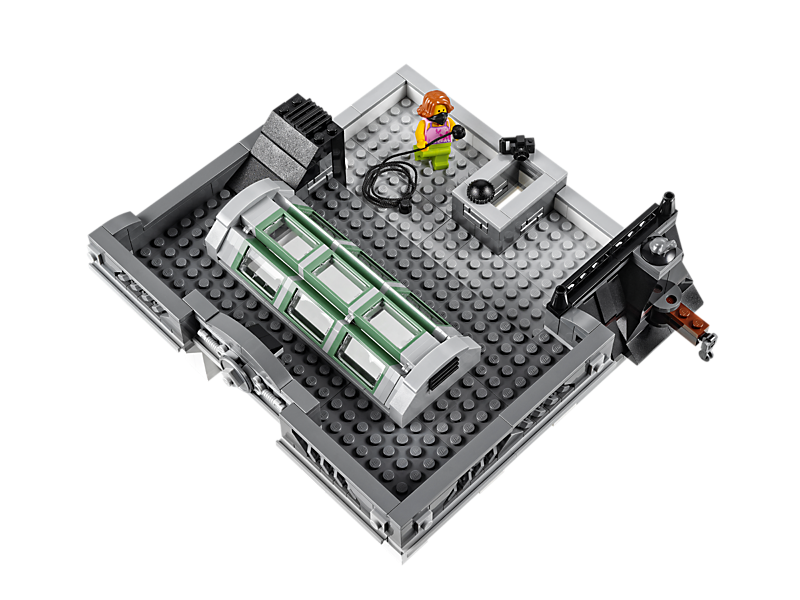 Make a secure deposit at the highly respected Brick Bank, featuring an array of intricate details and hidden surprises. 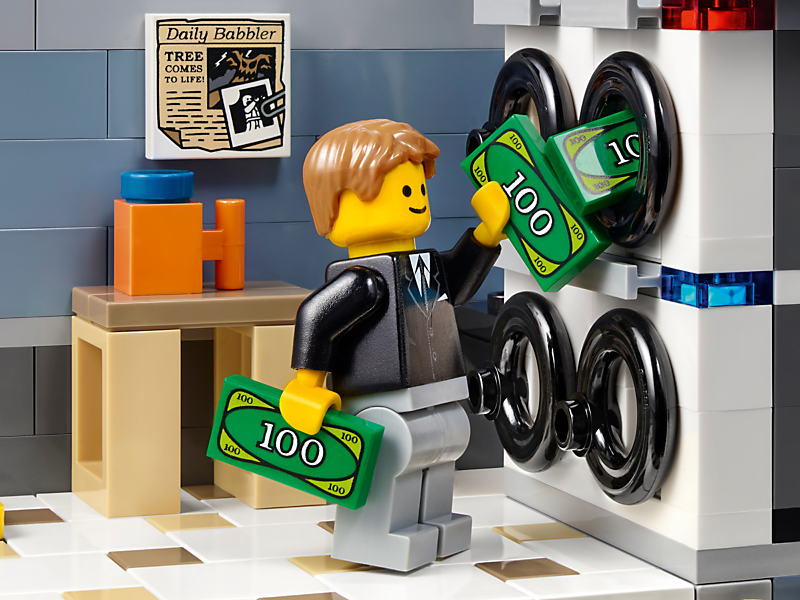 Easy-to-remove building sections provide access to the detailed interior, comprising a bank with an atrium foyer, tiled floor, arched windows, ornate chandelier, lockable vault and a transaction counter with security glass; a laundromat with printed window, tiled floor and 4 laundry machines; plus 2 second-floor offices with an array of detailed furniture, fixtures and accessories. 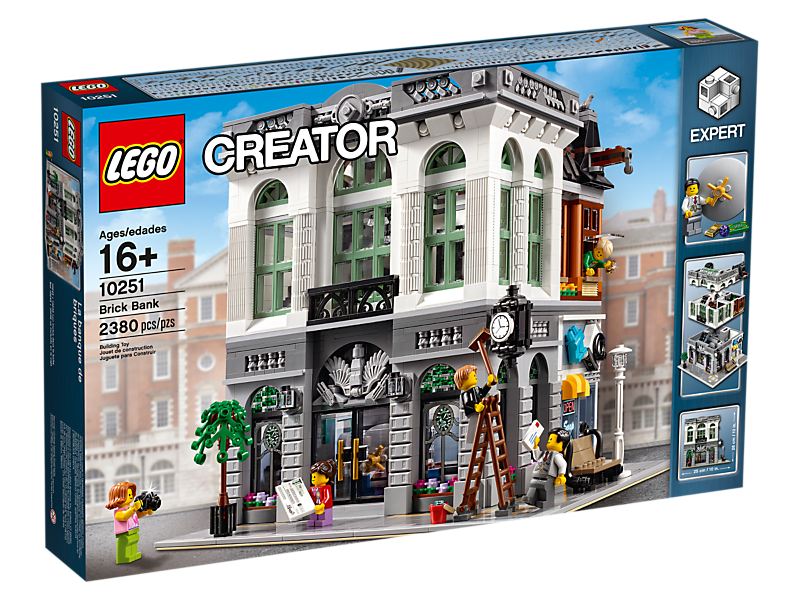 The exterior of the building features a detailed sidewalk and an elaborate façade with carving and statue décor, decorative roofline, large arched windows, central balcony, clock and an accessible roof terrace featuring a large skylight. 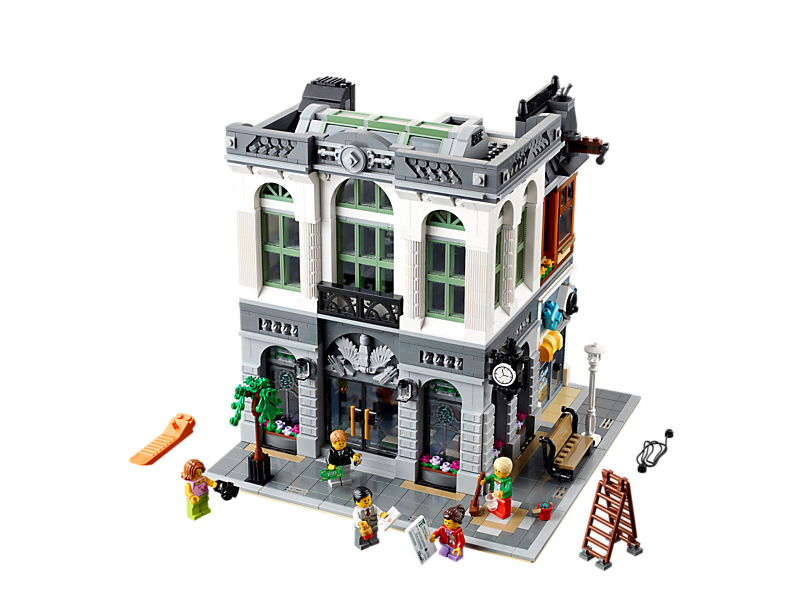 Collect and build an entire town with the LEGO® Creator Expert Modular Building series 10243 Parisian Restaurant and 10246 Detective’s Office. 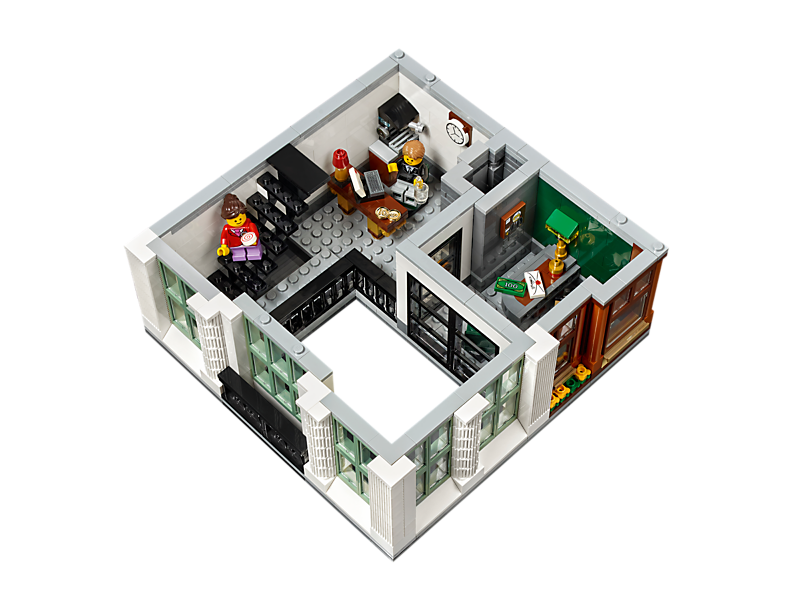 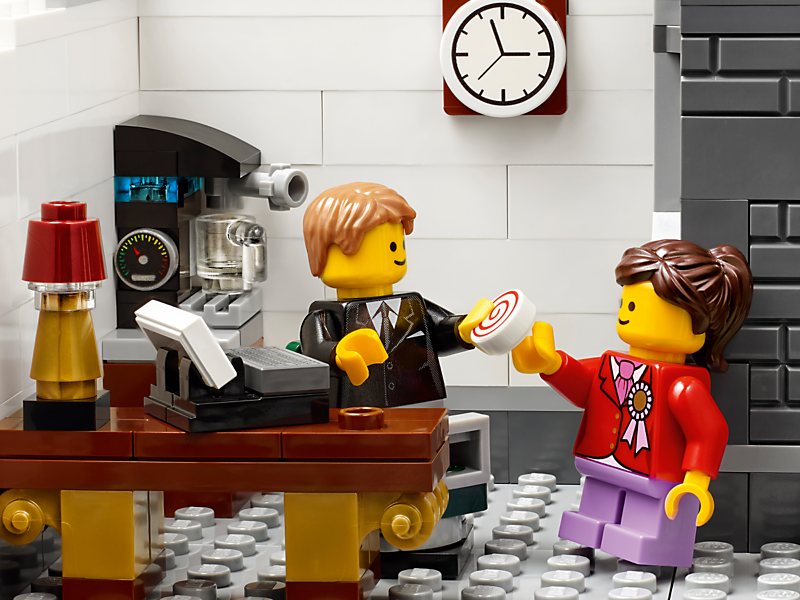 Includes 5 minifigures: a bank manager, secretary, teller, mom and child. 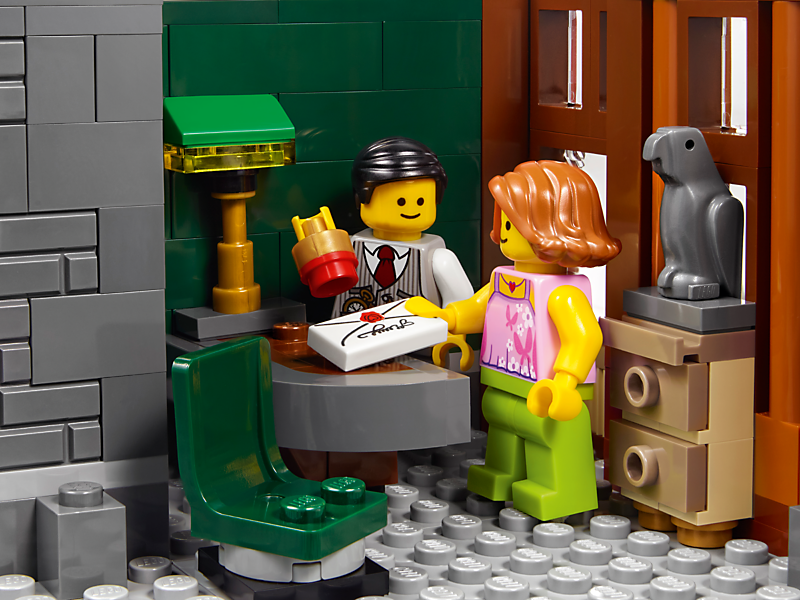 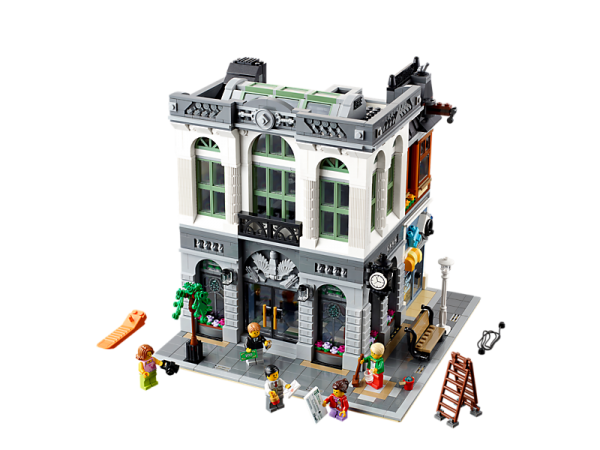 Collect and build an entire town with the LEGO Creator Expert Modular Building series 10243 Parisian Restaurant and 10246 Detective’s Office.